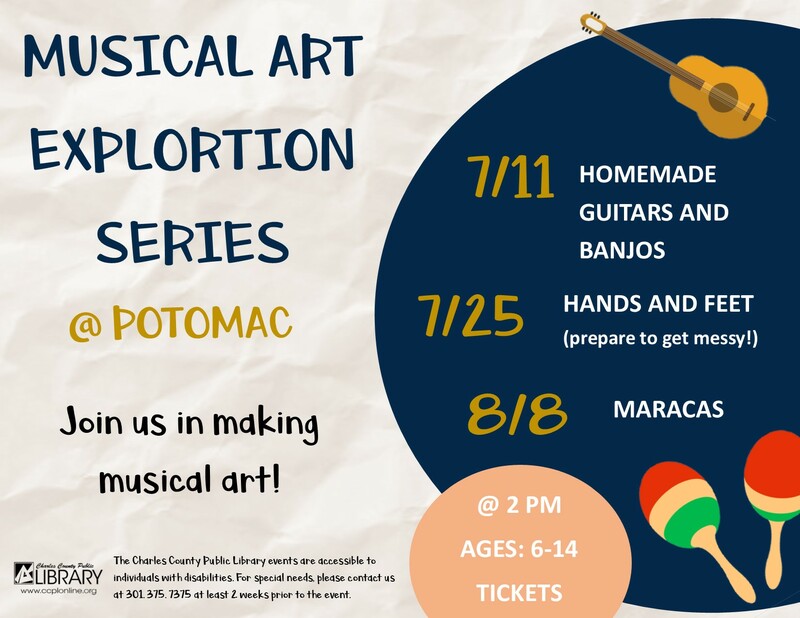 Art and music collide in this fun summer series! This session we will be creating musical instrument prints using our hands and feet. Prepare to get messy!